At Guts.com we love our Mobile Casino. We also love our no-wager-required free spins! So we are launching a 3-day Mobile Fest starting Tuesday the 15th of July, dishing out tons of free spins to our depositors. That means all players that have made a €20 deposit and wagered the same amount since 1st June 2014 will get a total of 30 free spins, 10 free spins each day. For a small deposit and wagering they will get even more free spins! GUTS.COM currently offers more than 128 games specifically developed for mobile devices. That's a lot of games! To celebrate the recent advancements in Mobile Casinos, Guts.com is giving out tons of free spins. Starting Tuesday 15th July, players will be credited with 10 free spins that they can use on Big Bang, Twin Spin and/or Fruit Shop! The best thing about free spins at Guts.com? No wagering requirements! Free spins are exactly that: FREE spins. Winnings are yours to keep! Like a proper feast, the Mobile Fest at Guts.com will last for 3 days. That means 10 free spins each day. But wait, there is more! If you deposit and wager €20 in the casino, you'll get 25 free spins instead of 10 free spins the next day! 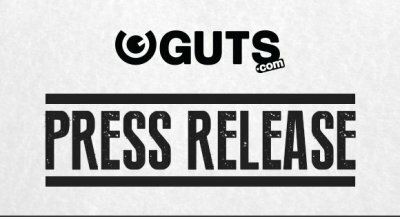 Guts Mobile Fest 3 days of free spins! That's a whopping total of 75 free spins! Grab'em all! Still using a Binatone Brick like Gordon Gekko on Wall Street, are you? No worries, the free spins can also be played on the PC. Don't forget you can also claim the More Money Monday bonus, simply use GUTS35 on your next deposit and get 50% up to €35 ($35, €35, 350kr) credited instantly to your account. A perfect opportunity to grab a bonus and some extra free spins! Enjoy Guts and you free spins wherever you are!